Anyone who has ever visited Port Townsend, WA, knows it to be a beautiful, historic, seaport town. Jaw-dropping views of Mount Baker, Mount Rainier, the Olympics and Cascades greet you at every turn. Closer to home, the coast of Whidbey Island evokes the White Cliffs of Dover. Mount Baker, as seen from Fort Worden. One hardly needs an excuse to visit Port Townsend, but there are plenty for those who feel they do. The upcoming Victorian Heritage Days, March 18 – 20, 2011, is sure to appeal to both history and architecture buffs. Special events include tours of Historic Uptown and Downtown Port Townsend (walking and bus tours available), Historic Clothing Fashion Show, and presentations on weatherizing old buildings and maintaining traditional wooden boats. While in Port Townsend for Victorian Heritage Days, visit the local Washington State Wineries and sample their wines. 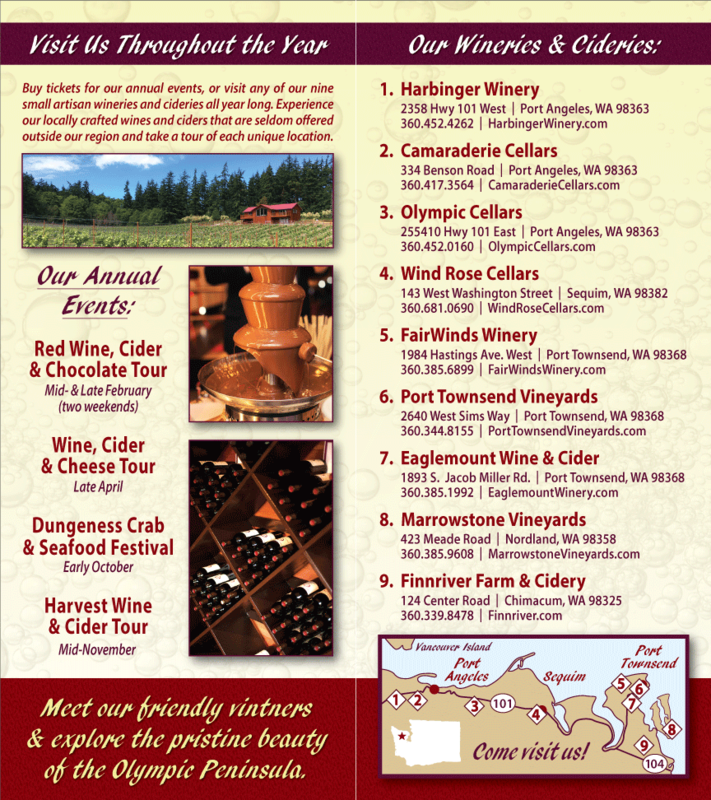 FairWinds Winery and Sorenson Cellars are located in Port Townsend proper, while Eaglemount Wine and Cider, and Finnriver Farm and Cidery are located in nearby Chimacum. If you can’t make it out to the wineries, enjoy a glass of local wine at one of the many excellent restaurants in town; or stop by The Wine Seller on Water Street or Aldrich’s Market Uptown and pick up a bottle of local Washington Wine or Cider to bring home.